NES Disney's DuckTales (USA) in 07:18.9 by adelikat. 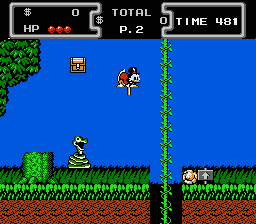 This is the fourth TAS of Duck Tales. This time, due to a bug in the Moon level found by HHS, it is almost a minute shorter! Other minor tricks here and there contributed an additional few seconds of improvement.